First of all let me say that I heart a good red beer. Killian's Irish Red is one of my long time "go-to" beers. You know, it's one of those beers that when you're at the grocer and can't find anything else that strikes you as perfect for the night you just grab a sixer of it because you know that you will be pleased at the end of the night... That all being said, The Men's Room Original Red from Elysian is just "OK". My last thoughts on this beer is that for the $6 I paid for it, I wish I woulda grabbed the Killian's. My Suggested Pairings: Like most ambers/reds, this beer goes well with a good tender meat. 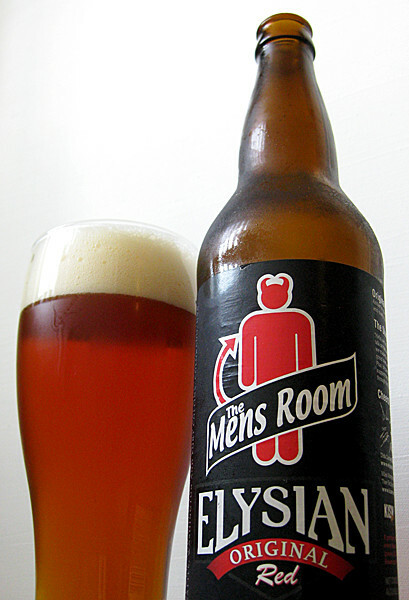 To be honest, I'd probably order a Killians if the place I was at had it but if the only red on tap was Men's Room it would go well with corned beef (if you don't do stouts) or prime rib.